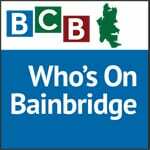 In this episode of BCB’s StoryShare series, host Jack Armstrong talks with longtime Bainbridge Island resident Donna Moore about her experiences and observations about life on Bainbridge and what makes it such a special place to live. Like many residents, Donna found her way here without any intention of having it become her home, but she immediately felt an attraction that caused her to move to the island. 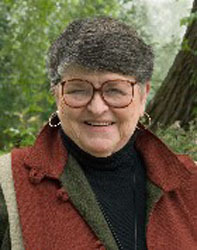 During the interview she describes Bainbridge as she experienced it 40 years ago, including businesses and attractions that no longer exist, and she tells a delightful story about the theft of a rhododendron she had planted in front of her first home at the corner of Erickson and Wyatt – and how it was found and returned to her two days later. Donna also discusses her earlier career with the State Department (including her first assignment in Benghazi as a young woman in her early 20s) and her fascination with the Suquamish people and their impact on local culture and tradition. She has published a novel, titled Out of the Fog, that takes place on the island and the Suquamish reservation. For more information about the book, visit www.donnamoorebooks.com. Credits: BCB host: Jack Armstrong; audio editor: Chris Walker; social media publisher: Diane Walker.